There are endless ways to create brand awareness for your product or service through marketing campaigns: email marketing, social media marketing, SEO… and a whole lot more. But such a wide variety of choices can become overwhelming. Which marketing strategies do you apply, and how are you supposed to determine what your campaign involves? Where do you begin? Choosing the appropriate outlet to promote your campaign prevents you from missing the opportunity to connect with your target audience. It’s stressful, I know. Whether you run a large corporation or you’re a small business owner, you make important decisions daily. If adding one more thing to the list makes you want to run for the hills, 1. You’re not alone. 2. Relax. The groundwork for your successful marketing campaign is only a few questions away. When you ask yourself the following questions you’ll be able to identify 5 fundamental components of your campaign right out of the gate. It all comes down to who you want to talk to and how the products or services your brand provides can benefit them. Your target customers want solutions and a reason to care, and it’s up to you to give them one! No pressure. 😉 But really, the answers to these questions are going to play vital role in not only what you say, but how you say it. So before you move forward with any part of the marketing process, determine your target audience and what this audience can absorb from your marketing campaign. You cannot create and carry out successful campaigns without doing this step first and foremost. Identifying and understanding your audience is always the first step in the right direction. What is your campaign goal? If your first thought was “make more money!”… same. Seriously, that’s the same goal for everyone. We need to be more specific than that! The answer may not be as obvious as you think! Ultimately, yes, your campaign will ideally lead to an increased ROI. 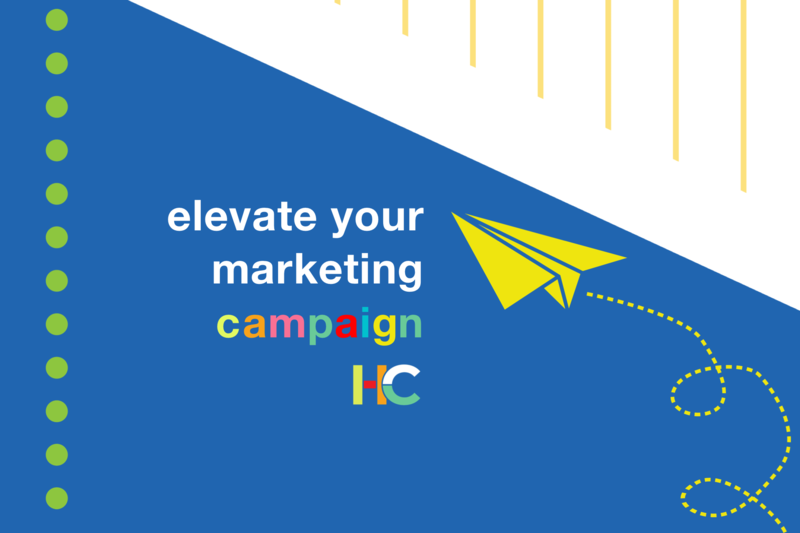 But, try to think of campaigns as stepping stones – each individual campaign should elevate you to the next level within your overall strategy. HighClick Media’s parent company, DataGroup Technologies, offers IT services, for example. Many of DataGroup’s campaigns revolve around the benefits of our services to intrigue potential customers. The motivation behind creating a marketing campaign in the first place determines how the content you release will be consumed by your target audience. How do you want to convey your message? So now that you’ve decided who you want to talk to and what you want to say, it’s time to pinpoint the most efficient ways to communicate with your audience. In what ways will your potential customers best respond to your message? Are they active on Instagram, or do they still not understand the purpose of hashtags? Do they prefer emailing or texting? Deciding how you communicate is where your brand will really benefit from having a creative marketing team in the mix. Digital marketing provides an endless selection of marketing channels, and more are created all the time. My advice to you: Don’t risk missing your mark because you made a quick decision due to feeling overwhelmed. Let the industry experts help you create a solid marketing plan. How can you make your brand’s campaign stand out? Once you’ve identified your target audience, goals, and platform for your campaign, the next step is making that campaign pop! In 2019, consumers are constantly being force-fed information 24/7. Even if you decide to “unplug” and go on a digital detox, you likely won’t leave your house without crossing paths with at least one advertisement of some sort, digital or traditional. But don’t stress. This also means that your campaign has a ton of flexibility and potential! Digital marketing is not one-size-fits-all. Brainstorm and get creative with your campaign! The sky’s the limit! What will you do to pull this off? Brilliant ideas remain only ideas if you don’t have the finances to carry them out. I strongly suggest you determine your marketing budget before you get too deep into planning your campaigns. After you’ve determined your budget, it’s a good time to start looking at the details. What bells and whistles does your budget allow for? Where will you put your marketing dollars to ensure that the audience will remember your brand? So, are you ready to launch a mind-blowing marketing campaign yet? If not, it’s all good – we’ve got you! Reach out to us and one of our campaign experts will contact you to chat about your marketing goals. We’ll help you make your marketing efforts a success! know someone that needs to hear this? share it! Meet HighClick’s Digital Marketing Intern, Leah! Do I Need a Website for My Business in 2019? previous post: Meet HighClick’s Digital Marketing Intern, Leah! Need help with your next big project?